So, I must admit I’ve been a Poison fan since I was a very young girl; I’m talking the age of records. Well, every year my sister and I go the to their summer concert and sing and dance our little glam rock butts off. It was a great show this year with a lot of new fans, thanks to the Rock-of-Love show, and we had an amazing time. I, of course, had to make a purchase and here’s what I got. 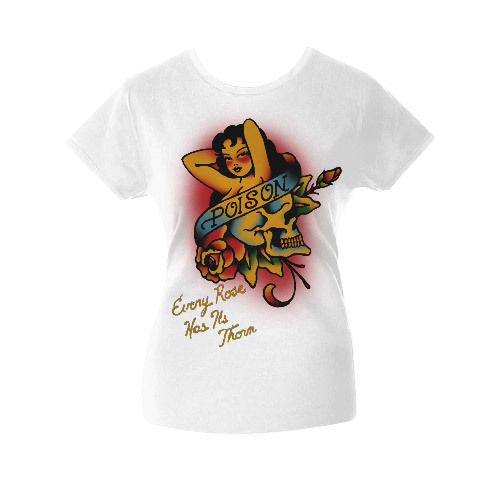 It’s a little Ed Hardy’esque, but I dig it. They’re my boys…I love ’em!